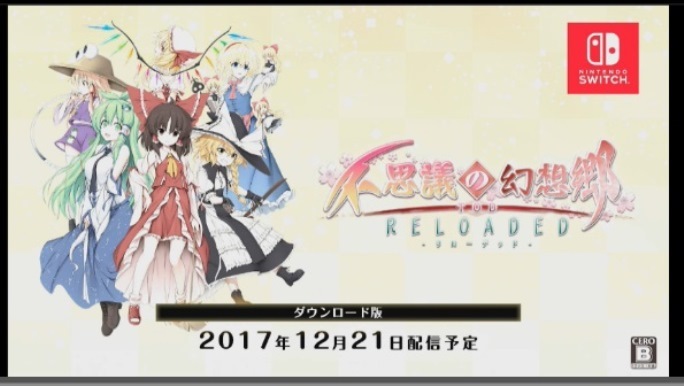 Aqua Style has confirmed that Touhou Genso Wanderer Reloaded is coming to Switch. It’s actually due out very soon in Japan – December 21. Touhou Genso Wanderer Reloaded is a roguelike that has previously appeared on PlayStation platforms. You can get a closer look at the game below. Touhou Genso Wanderer Reloaded was somewhat teased for Switch earlier in the year. It was shown running on the system, but plans for a release weren’t official at the time. As we know, Touhou Sky Arena is also on the way to Switch. That game was announced for the platform back in October.